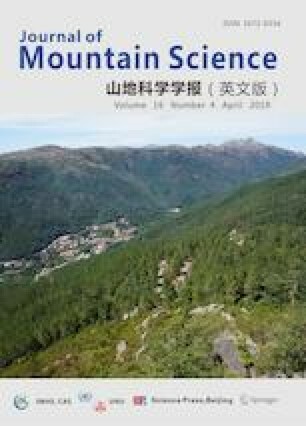 Agrarian patterns in mountain ecosystems have seen a considerable change in the past decades with a vast proportion of the population abandoning traditional agriculture and diversifying their livelihood options, primarily through out-migration. This trend is especially common amongst the subsistence based family-farming communities in developing countries. This study aims at assessing methods of livelihood diversification and factors influencing farm-exit in Central Himalayan villages of Uttarakhand, India, while trying to understand local perspectives on challenges in pursuing agriculture as a viable livelihood option. We collected qualitative and quantitative data from 951 households across 60 villages evenly distributed across six hill districts of Uttarakhand, using key-person interviews and household surveys. The results of the study highlight that farm-exit is significantly influenced by livelihood diversification, number of migrants, number of female family members, and availability of irrigation facilities. In general, perception of the respondents towards agriculture as a viable livelihood option is rather unenthusiastic, with 87% of the respondents citing human wildlife conflict as the main challenge in pursuing farming, amongst several other challenges. Diversification is an integral component of present rural economy with 80.13% of the total population dependent on more than one source of income, to maintain their livelihoods. However, there is no statistically significant influence of livelihood diversification on annual income of the household. If agro-based entrepreneurial ventures are to be promoted in the region there is an urgent need for timely introduction of radical policy, institutional, and land-reforms. Economic uplifting of the local population through such efforts can also be a possible solution to the growing trends of out-migration in the state. We would like to acknowledge the financial support given by the Ministry of Environment, Forests, and Climate Change (MoEFCC) through the National Mission on Himalayan Studies. We are also grateful to the respondents of the study for being welcoming and forthcoming in responding to the researchers’ queries and giving their valuable time for the survey. Without their support and cooperation this research work wouldn’t have been possible.